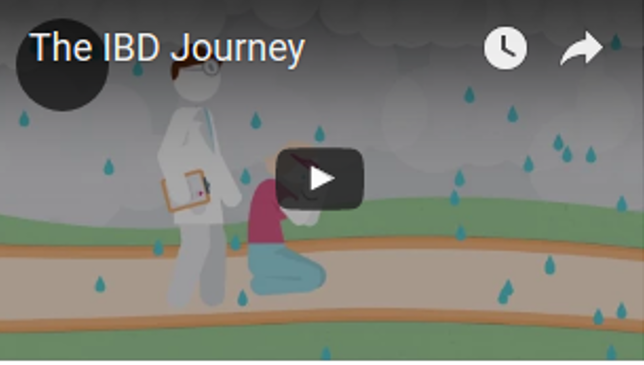 The video ¨The IBD Journey¨ highlights the need for multi-disciplinary care in treating IBD, from a range of healthcare providers and carers, including doctors, nurses, psychologists and nutritionists. This video was produced for World Digestive Health Day by United European Gastroenterology in partnership with The European Crohn’s and Colitis Organisation (ECCO) for World Digestive Health Day 2017. Support was also received from The European Federation of Crohn’s and Colitis Organisations (EFFCA), The European Society of Paediatric Gastroenterology, Hepatology and Nutrition (ESPGHAN), The European Society of Neurogastroenterology and Motility (ESNM) and The World Gastroenterology Organisation (WGO).